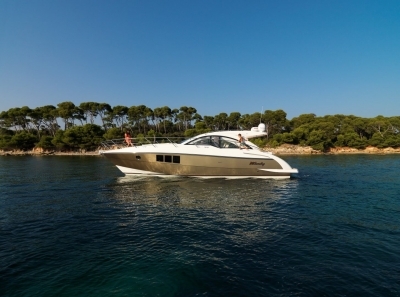 The Windy 40 Maestro builds on the success of her predecessor, the Windy 37 Grand Mistral, one of the most successful Windy models of all time. 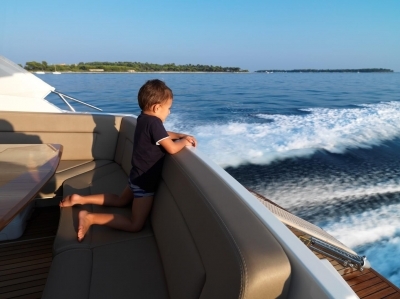 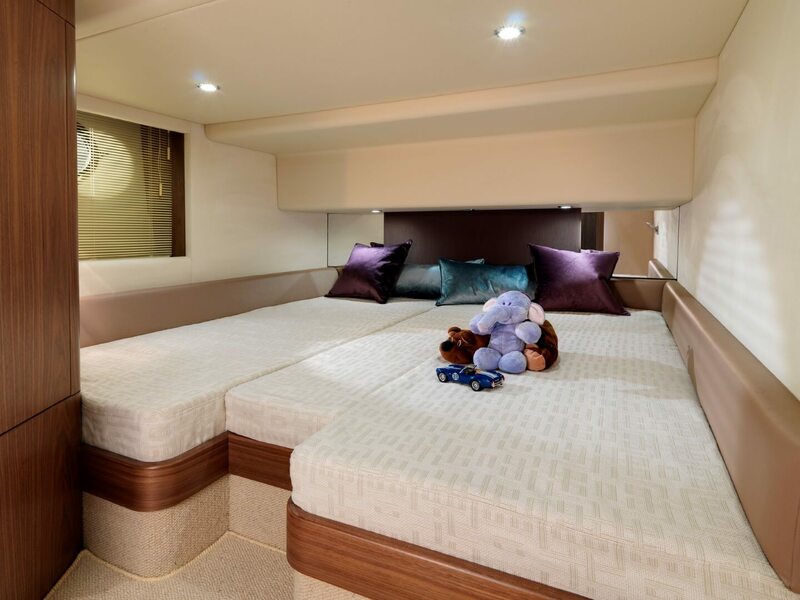 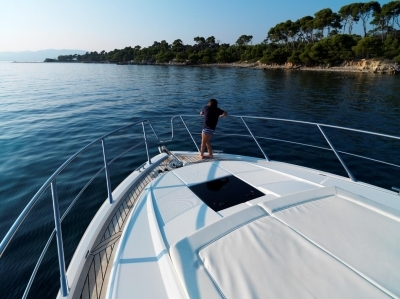 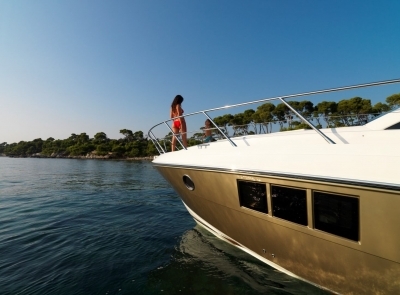 Combining exceptional sea-keeping, performance and economy with light, roomy accommodation, she is a totally unique family cruiser. 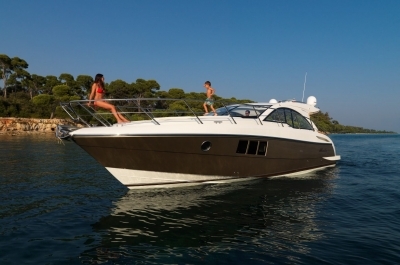 On deck the Maestro benefits from a sleek hardtop design, electrically operated sun-roof, and an expansive and flexible cockpit layout seating six to eight adults. 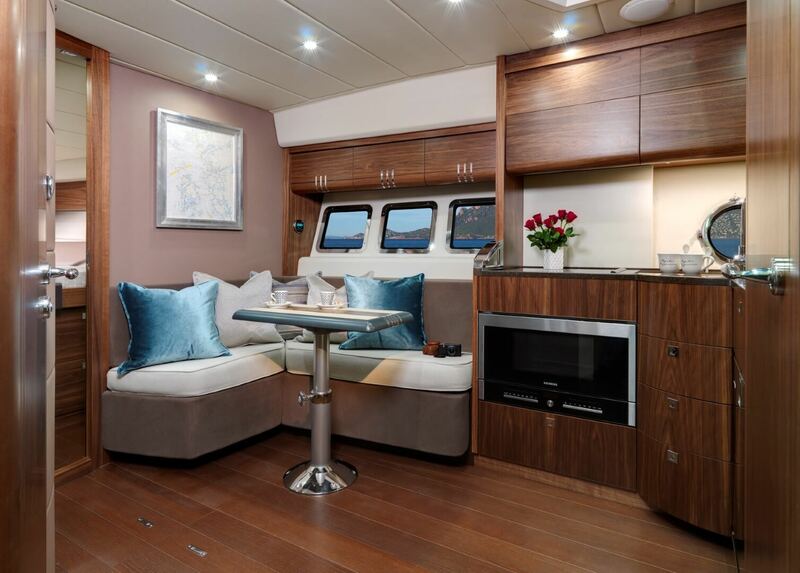 She has wide side decks with a substantial toe rail and plenty of handrails, enabling safe and secure access to the foredeck. The ergonomic helm is elevated to provide superb visibility, delivering a great driver experience. 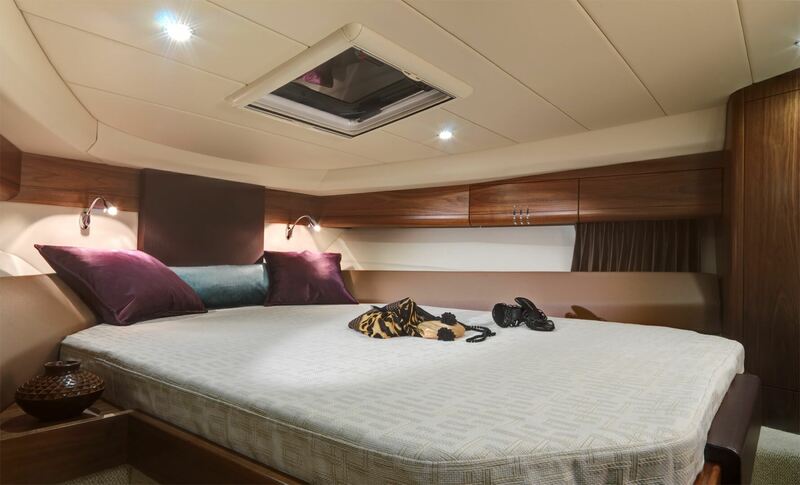 Below decks, her well-appointed accommodation makes extended adventures a real possibility. 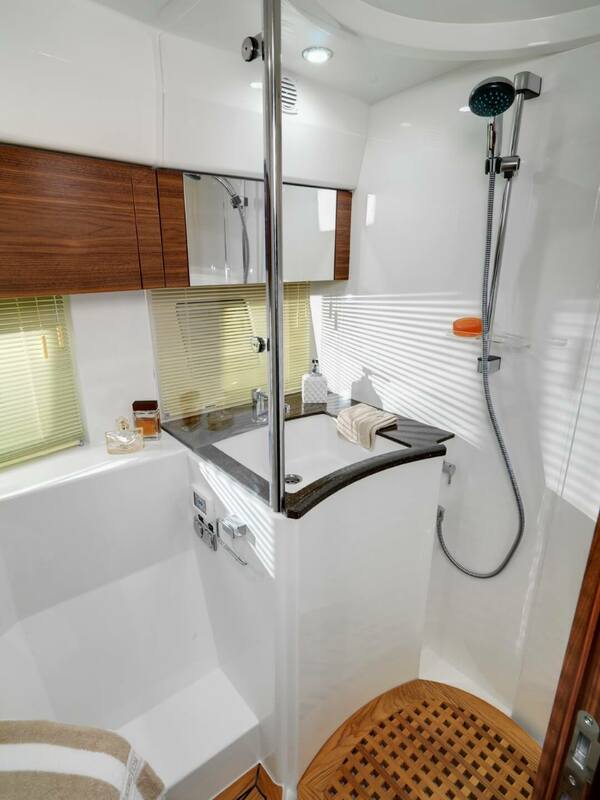 There is a roomy saloon, four permanent berths in two cabins, a generous heads and shower compartment, and a well appointed galley offering plenty of storage and useable space with the option of gas or electric cooking. 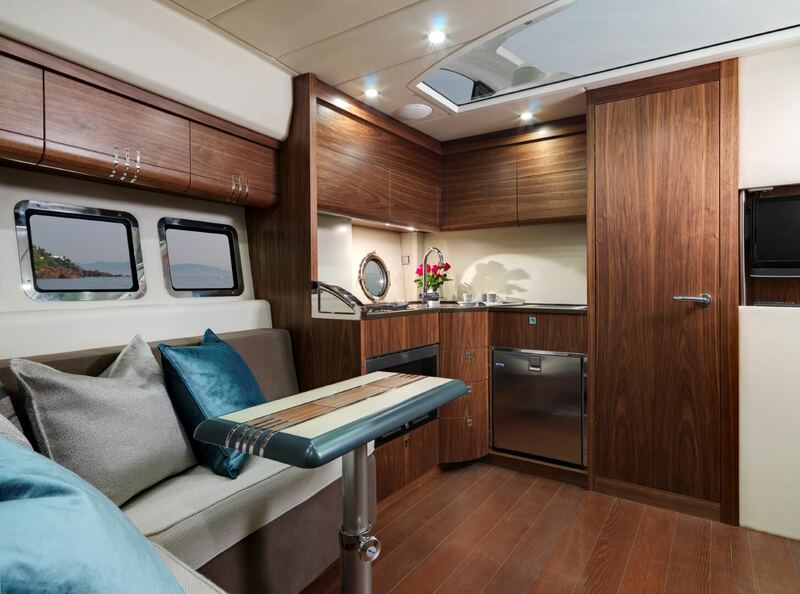 Blistering fast, with a top speed of 40 knots, the Maestro will appeal to those who demand exceptional performance, but without compromising on their home comforts.